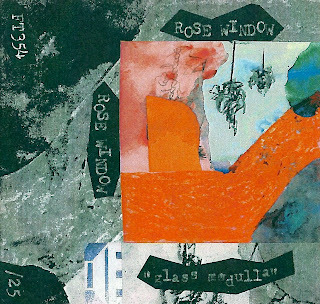 FAG TAPES: ROSE WINDOW "GLASS MEDULLA"
FT354 ROSE WINDOW "glass medulla" cassette. A wall of meditation igniting before you. Cincinnati claustrophobia sets in and you feel like you are in an elevator with flickering lights getting floored. The existence of time becomes non-existent. When remembering what just happened, if there is any recollection at all, stepping out of the parting doors are sights of everyone in the room outside of the elevator is violently ill. Pale and red in the face alternately. Vomiting out lies that they believe are their own life histories. Amazing sounds. Hand numbered edition 25.
listen: ROSE WINDOW "glass medulla"